Apple today announced ‘Proactive,’ its rumored Google Now competitor and update to Siri, which will launch with iOS 9. The proactive assistant is a mix of Google Now and similar tools that aim to make the user’s life easier by trying to infer what they may want to do at a given time — but with a focus on privacy. For years now, Google has been able to take the data it gathers from its users to proactively tell them when it’s time to leave for the airport, for example (because it knows about traffic and has seen your airline receipt in Gmail). Because Apple doesn’t have this data trove about its users, it hasn’t been able to offer a viable competitor to Now. While new service offers some of Now’s features, though, it’s still clear that Apple just doesn’t have the necessary data to offer a real competitor. As Apple’s Craig Federighi noted today, Apple wants to add all of this information while ensuring the user’s privacy. 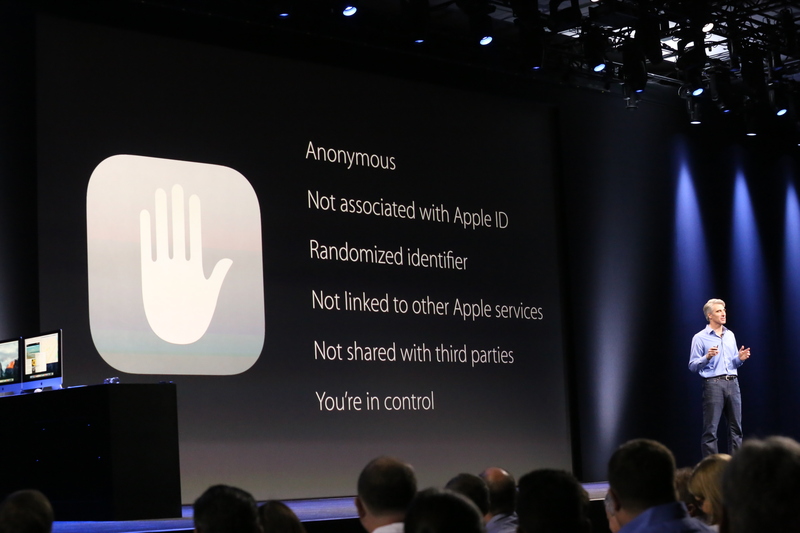 All of the data is anonymous, Apple says, and not linked to your Apple ID or shared with third parties. It stays on the device. “We do it in a way that does not compromise your privacy…we honestly just don’t want to know. All of this is done on the device device,” Federighi said in a clear swipe at Google. This feature will live on iOS’s left-most screen — where Spotlight used to be before the iOS 7 redesign — as well as in Spotlight search. With Proactive, which was likely built on top of its acquisition of Cue, Apple will now also be able to tell you when to leave for the airport, but based on calendar events or a boarding pass that’s stored in Passbook. Similarly, you may get a similar notification that it’s time to leave based on other location-tagged calendar entries. The proactive assistant will also feature often-used apps, mostly based on when you typically use them. So if you browse Facebook right after you wake up, iOS will show you the Facebook icon on that screen. The service will also be able to show location-based recommendations for restaurants when it’s dinner time. The tool will also highlight breaking news and all of these notification will be able to deep link right back into the apps they originated from.